Join us in Atlanta for Super Bowl LIII. From arrival to departure, Superior Executive Services tailors fully custom Super Bowl packages for individuals, groups, and corporate parties. Our trips include unrivaled hospitality, accommodations, transportation, entertainment, and treatment. Book now and leave the worry up to us. The only thing we love more than attending the Super Bowl is facilitating exclusive trips to the Big Game for our clients. For our guests, we not only secure the best available tickets, but we also can plan and execute every detail of your trip. We tailor our trips to your needs, and how much involvement we have is ultimately up to you. If you want to fly to Atlanta on a private jet charter, stay in a luxury suite, and have access to some of the most exclusive events, we can make it happen. Contact us today to start customizing your sports travel package. Let Superior Executive Services simplify your 2019 Super Bowl experience and take the hassle and stress out of going to the Super Bowl. Our Super Bowl travel packages can include travel planning, accommodations, Super Bowl LIII tickets, transportation, access to local activities like concerts, pre- and post-game parties, and much more. On February 3, 2019, the champions of the AFC and NFC will face off in Super Bowl 53. This big event — often referred to as simply “The Big Game” — has an atmosphere unlike any other event in sports. From legendary finishes to unforgettable halftime performances, the Super Bowl is a must-see event for fans and non-football fans alike. For over 50 years, the two best teams in the National Football League (NFL) have gathered in front of a packed stadium to face off for the championship. This will be the third time the Big Game has been played in Atlanta — Super Bowl XXVIII in 1994 and XXXIV in 2000 were also held in Atlanta. Originally, this historic game took place in January, but since the 80s, the game has been played on the first Sunday of February. A lot has changed since the very first matchup — which took place in 1967 when the Green Bay Packers played the Kansas City Chiefs and featured a halftime performance by two marching bands. Be a part of this unique history and get your Super Bowl LIII tickets! From the use of Roman numerals to the celebratory “I’m going to Disney World,” from the million dollar commercials to the much-anticipated halftime performances, the Big Game is rich with tradition, and its atmosphere goes beyond that of a football game. It’s a cultural and national emblem. When you partner with Superior Executive Services to plan your trip to the Big Game, we strive to put you at the heart of the action and front and center for some of the game’s many exciting traditions. Over the course of the game’s history, we have seen some truly awesome matchups. The game’s rich history has included incredible comebacks, wins from underdogs, and jaw-dropping performances from football legends like Starr, Bradshaw, Montana, Smith, Elway, Brady, and more. 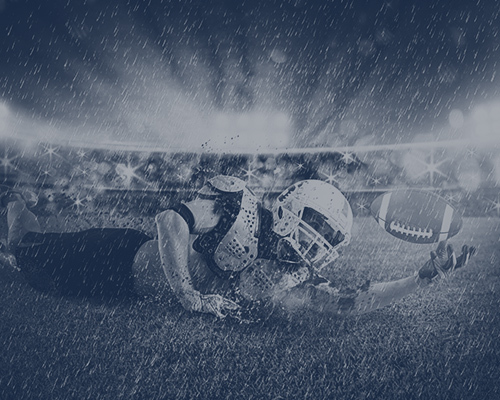 While we cannot guarantee that this year’s game will end in nail-biting fashion, we have yet to be disappointed by the competition we’ve witnessed at the Super Bowl and expect nothing less out of this year’s matchup. Nowadays, the Super Bowl has come to represent so much more than football. It’s a weeklong event jam-packed with celebrations and festivities. The biggest of which is the final headlining halftime show. Prior to the kickoff, our guests will also be able to pregame in big fashion. From musical performances by big-name acts to NFL alumni meet and greets, there are a number of awesome ways to celebrate before the championship teams take the field. Because of this, it is no surprise that the Super Bowl has become the place where corporate America goes to party, which makes it the perfect event for company retreats, corporate incentives, and business vacation trips. From arrival to departure, our travel managers and professionals provide dedicated support, expertise, and superior treatment. 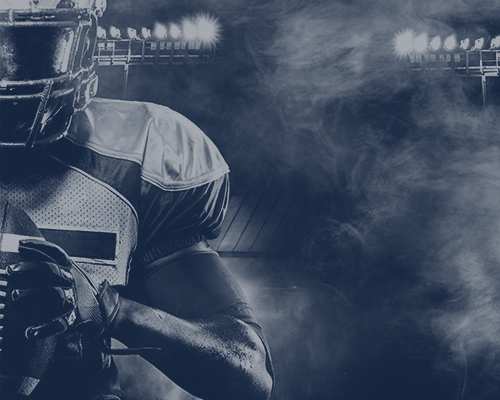 Superior Executive Services is proud to offer a variety of Super Bowl tickets to fit the needs and budgets of our clients. However, given the exclusivity and demand for this event, tickets are limited, and to ensure that you get the exact tickets you and your group want, it is highly recommended that you secure your tickets as soon as possible. Transportation to and from Super Bowl events can be hectic. To ensure that you get where you need to be as quick and stress-free as possible, Superior Executive Services is ready to help. We don’t want you to have to worry about rental cars and finding your way around a congested city. That’s why we encourage you to leave the driving and transportation to us. As a luxury travel agency, we also offer private chartered flights to and from Atlanta. When you book your Super Bowl package through Superior Executive Services, you receive some of the best accommodations in the Atlanta area. We have suites and group blocks available at a variety of locations throughout Atlanta. We even have luxury homes for rent. Although Atlanta is a big city, the Big Game is big and accommodations get booked quickly. For the best arrangement, we recommend that you secure your accommodations as soon as possible. Remember that during the week of the Super Bowl, downtown accommodations can be harder to find than the tickets themselves. View our Super Bowl properties. The Big Game is not the only entertainment you can expect when you head to Atlanta during the first week of February. And nothing brings a city to life like the Super Bowl. The whole week is loaded with events, from concerts to pregame parties to events with NFL alumni. When you attend the Super Bowl the superior way, you can receive a personalized itinerary that includes exclusive access to events all week long. On top of this, Atlanta’s typically warm temperatures should provide a nice winter respite for all those coming from more northern locations. Superior hospitality isn’t something that is automatically included with all Super Bowl tickets. However, when you book your trip to Atlanta through Superior Executive Services, we guarantee superior hospitality. This is one of the key advantages of booking your sports travel package through us. We are experts in corporate hospitality and luxury travel, and we leverage our expertise to create an unforgettable Super Bowl experience. Superior Executive Services is a luxury travel agency specializing in corporate entertainment and sports travel packages for some of the world’s most prestigious sporting events. We understand that each client is different, and when you partner with us, we always take a one-on-one approach. Whether the goal of your trip is to entertain key clients, reward employees, or to run a sales incentive, we will help facilitate a one-of-a-kind experience that is built around your needs. Professionalism — we demand absolute professionalism from our staff at all times, regardless of the situation. Experience — we know the sports hospitality industry like the back of our hand, and we leverage this understanding to create unforgettable trips. Dedication — from the first time we speak to the moment we depart, our dedicated staff will be committed to doing everything we can to provide a superior trip for you and your guests. Drive — 100-percent satisfaction is our goal, and we are tirelessly committed to accomplishing this. Willingness — we don’t simply accommodate your needs. 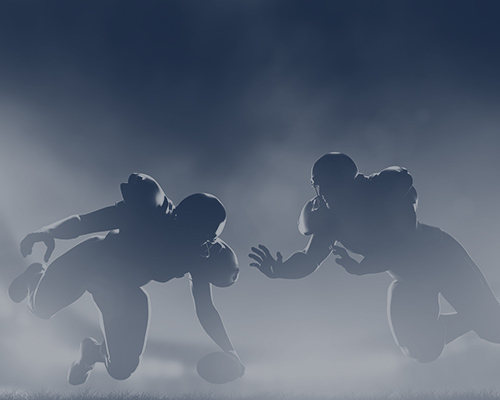 Our all-inclusive Super Bowl packages are personalized around your goals. Hospitality — Above-and-beyond hospitality is our standard. It’s the superior way. Super Bowl tickets are set by suppliers and vary depending on the location of the seats and supply and demand. To receive an exact estimate for your tickets, contact the Superior Executive team at 833-403-0713. My guests and I don’t need to attend the game, but we want to be in Atlanta for the Super Bowl experience. Can you customize a package for us? Absolutely! Our packages are 100% customizable and can include as little or as much as you want. Super Bowl 2019 will be played at the Mercedes-Benz Stadium in Atlanta, Georgia. Super Bowl LIII will take place on Sunday, February 4, 2019. The kickoff time will be determined at a later date. Where will upcoming Super Bowl matches be played? Super Bowl 2021 — Tampa, Florida. How can I purchase my Super Bowl LIII package? Superior Executive Services offers both online and over-the-phone purchasing options. Browse through our packages and make your selection, or give us a call at 833-403-0713 to speak with a specialist who will walk you through the travel planning and booking process. How do I contact Superior Executive Services? Superior Executive Services can be reached at 833-403-0713, Monday — Friday between 8am — 5pm EST. You can also email us at support@superiorexecutiveservices.com. Or fill out this online form, and we’ll be in touch with you shortly. According to the U.S. Department of Agriculture, the Super Bowl is America’s second-largest food consumption day (the first is Thanksgiving). The “I’m going to Disney World” slogan was started in 1987 when Disney offered both Phil Simms and John Elway $75,000 to shout out the slogan at the end of the game. They intend to use these clips in commercials for Disney World and Disneyland. In 1993, the halftime performance, which featured Michael Jackson, had higher ratings than the game itself. The “home” and “away” team designation is determined by the number of the Super Bowl. In odd-numbered Super Bowls, the NFC team is home while AFC teams are home during the even-numbered Super Bowls. Every year in Las Vegas more than $115 million is bet on the Big Game. Tickets to the first-ever Super Bowl (1967) cost an average of $6, which was considered too pricey. This is partly why there were around 30,000 empty seats. Super Bowl LI between The Patriots and The Falcons was the first ever Super Bowl matchup to go into overtime. The Cleveland Browns are the only NFL team to never host or win a Super Bowl. Team to win the most Super Bowls — Pittsburgh Steelers (6). Team to lose the most Super Bowls — Denver Broncos (5). Team to play in the most Super Bowls — New England Patriots (10). On February 5, 2018, people all around the world gathered at the U.S. Bank Stadium in Minneapolis to experience Super Bowl LII. Fans watched on the edge of their seats as the Philadelphia Eagles defeated the New England Patriots in a 41 — 33 shootout. Several records were set during the championship game, including the most yards gained in a game and the most points scored by a Super Bowl losing team. Among the 67,000 fans in attendance, many of our clients witnessed this action from up and close and got to bask — or sulk (for Patriots fans) — in the confetti-covered celebration. ©2017 Superior Executive Services - Do not copy. All rights reserved. Superior Executive Services, Inc. has no direct affiliation with or claims no endorsement from Augusta National, Churchill Downs, artists, teams, NFL, NFLP, NCAA, leagues, golf clubs, box office or Ticketmaster or Racetracks. Any references to or terms that may be included within registered trademarks, or trade names are solely used for descriptive purposes only.